This has been our most popular size since the beginning. Designed for people of all sizes, including those with shorter legs. Just about everybody thinks the regular fits just right. 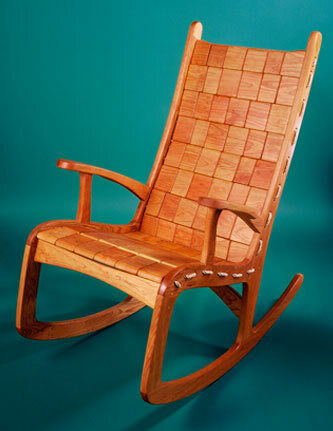 Measurements are the same as the regular rocker except for an extra inch of width for a roomier seat, and an extra row of blocks in the back for taller head support. 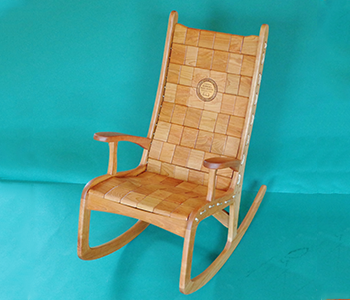 Designed with comfort in mind, sink your feet in between two rolls of cushion as you relax in your rocker. 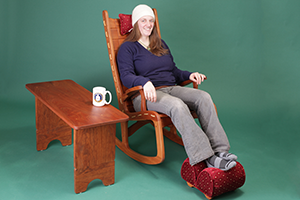 Footstool is easily stored under the rocker in between uses. Rest your head and neck on this pillow. 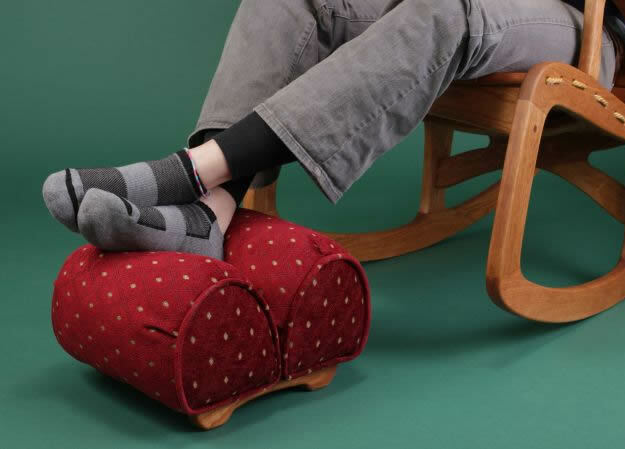 Adjusts easily to the most comfortable position. 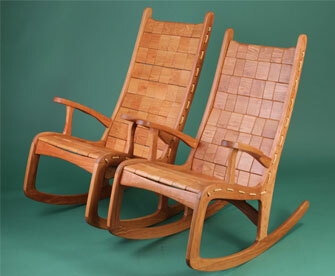 Shaker inspired side tables to match the wood of your rocker. 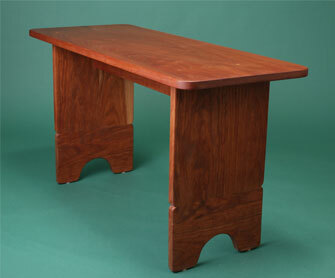 Can be used as a side table, coffee table or bench. 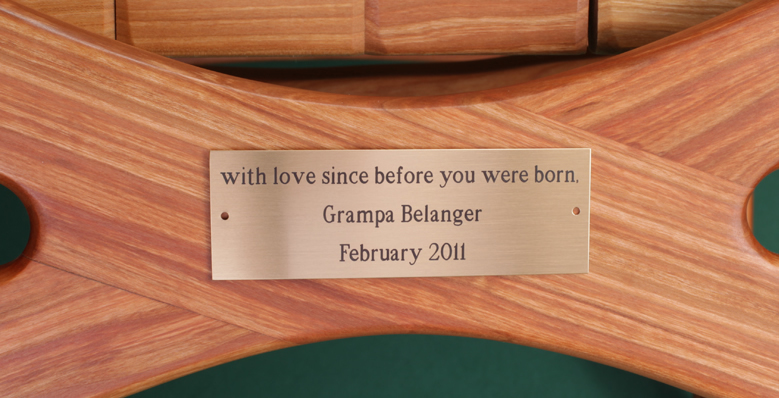 Add a brass plaque engraved with your message to commemorate a wedding, retirement, or other special occasion. 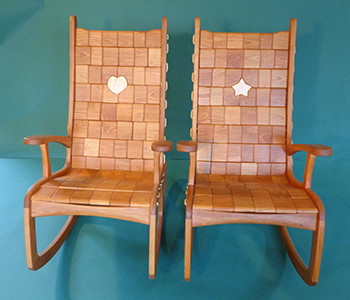 Add a little fun to your rocker with the Star and Heart shaped blocks, custom fit into the back of the seat. 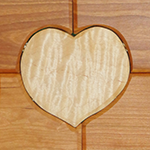 Mix and match wood types, cherry with maple shaped blocks are shown to the right. For the star of the show, or love of your life. Commemorate a special event, memorial or achievement with our customized circle block. Select your own message, image or logo to fill the circle. Great for a graduation or retirement gift. 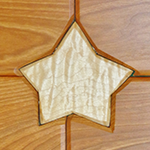 The design for the circle block can be all wood, or a brass and wood combination. 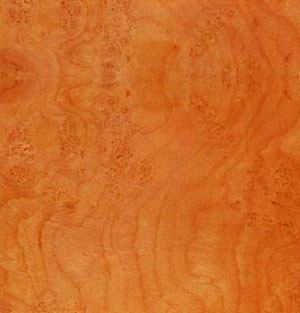 See photo of all wood on the left and wood with brass on the right.